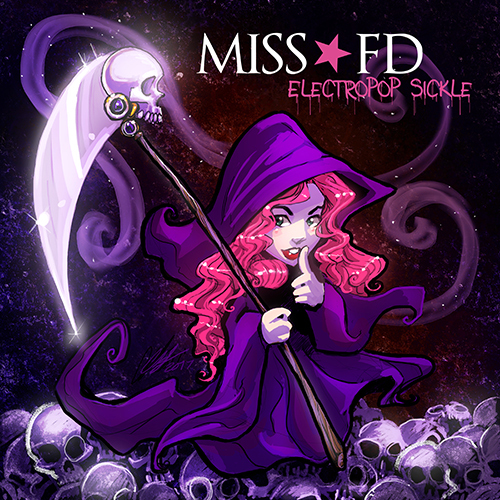 Miss FD Releases New Halloween Single "Electropop Sickle"
Friday, October 13th: Miss FD releases a new Halloween single, "Electropop Sickle". 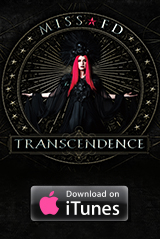 The cover artwork for the single has been illustrated by Chandra Free, author and illustrator of The God Machine [comic book]. "Electropop Sickle" is available as a digital release from Bandcamp, Amazon MP3, iTunes, and other digital music outlets. 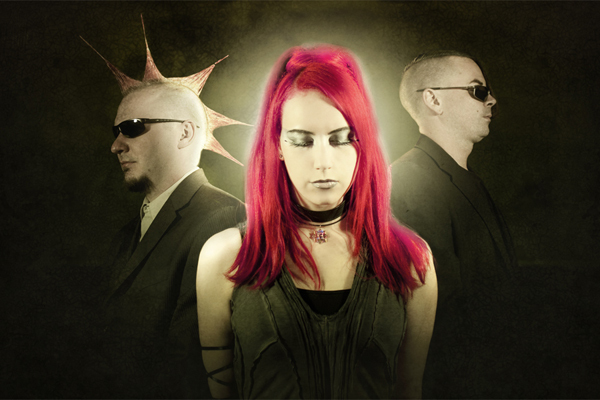 "New Era": Collaboration Track by Vulture Culture and Miss FD Featured on "Electronic Body Matrix 2"
A brand new collaboration track by Vulture Culture and Miss FD "New Era" is featured on "Electronic Body Matrix 2" by Alfa Matrix. 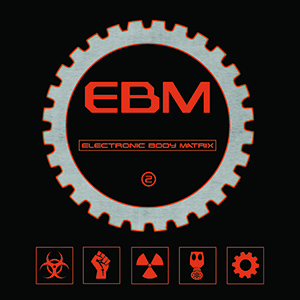 The massive 116-track "Electronic Body Matrix II" 4 CD Boxset (+ bonus downloads) will be released on October 13, 2017 and is available now for pre-order via Alfa Matrix. 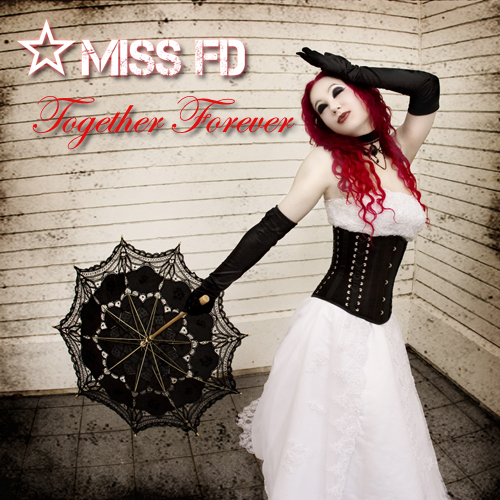 This year's October treat comes in the form of a new single release by Miss FD for the track "Unraveling". 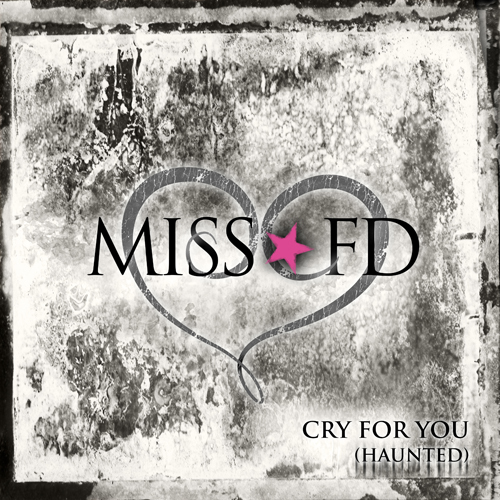 "Unraveling" was produced by Robert Dante, who previously contributed a haunting piano performance for Miss FD's 2013 single release of "Cry For You (Haunted)", and also contributed with his devious guitar work on Miss FD's 2012 release for the track "Infatuated". 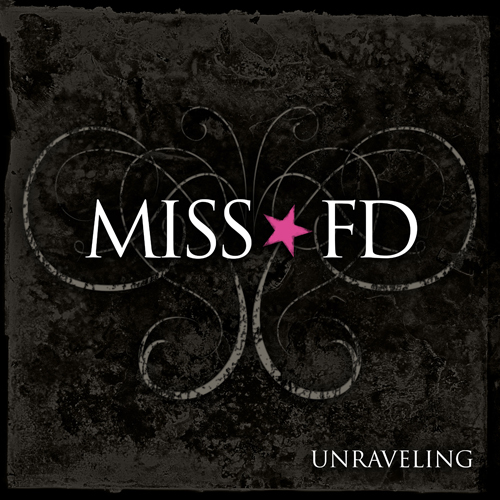 "Unraveling" was recorded and produced in Miami, Florida and is available as a digital release from iTunes, Amazon.com, Bandcamp, Spotify, and other digital music outlets. Miss FD's 3rd studio album, Comfort for the Desolate, is officially released through Quantum Release Records on June 18th, 2013. 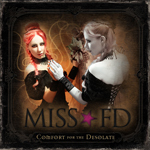 Comfort for the Desolate is available in CD format through the official Miss FD website, and Amazon.com. 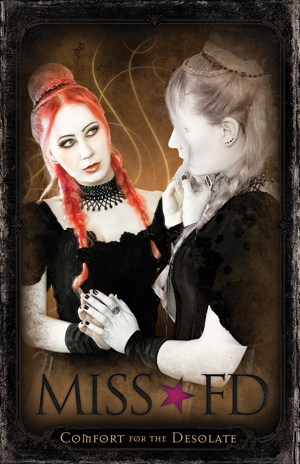 The digital release is available from Amazon.com MP3, iTunes, Bandcamp, and other digital music outlets. 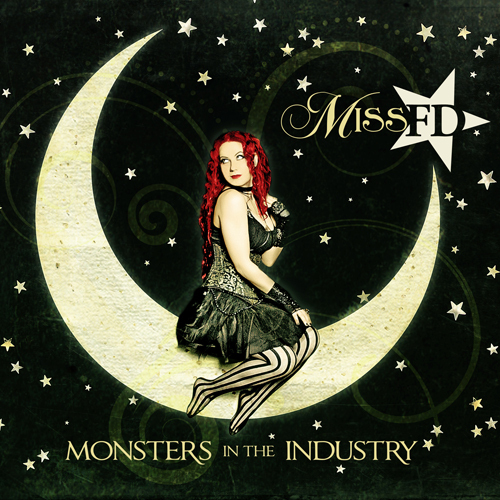 Miss FD releasing 3rd studio album "Comfort for the Desolate"
On June 18th, 2013, dark synthpop artist Miss FD returns with her third studio album Comfort for the Desolate. 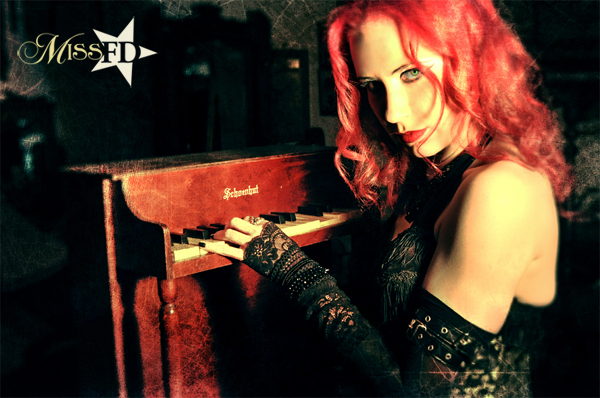 Through seven new compositions of dark melodies, chilling beats and intense lyrics, FD's latest "audio diary" is the next chapter in her exploration of the nature of existence, consciousness, our concepts of self, and presence through living in the here and now. *Comfort for the Desolate is available in CD and digital format, the album can be ordered now from www.MissFD.com. Miss FD Releases Music Video for Halloween Single "Down in the Dungeon"
Shot at Undergrounds Coffeehaus in Ft. Lauderdale, FL, the "Down in the Dungeon" music video was produced by Adam Alvarez. 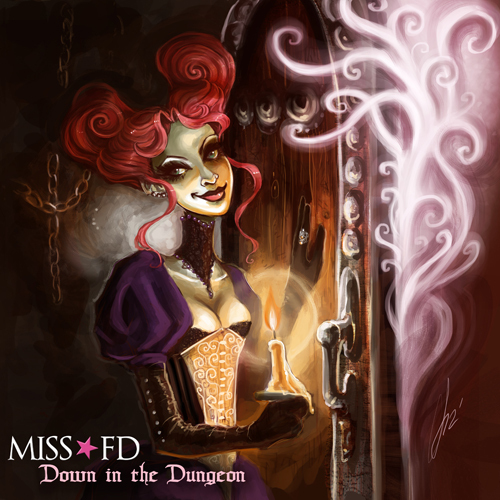 Miss FD's "Down in the Dungeon" Halloween single is available as a digital release from Bandcamp, Amazon MP3, iTunes, and other digital music outlets. 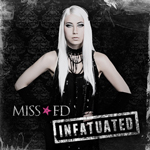 Miss FD Releases Music Video for Electro-Rock Single "Infatuated"
Miss FD took her dark electro sound in a whole new direction by turning up the heat with the release of the electro-rock single "Infatuated", a siren song that weaves her trademark pulsing beats & sensual melodies with the threatening guitar licks of Robert Dante. 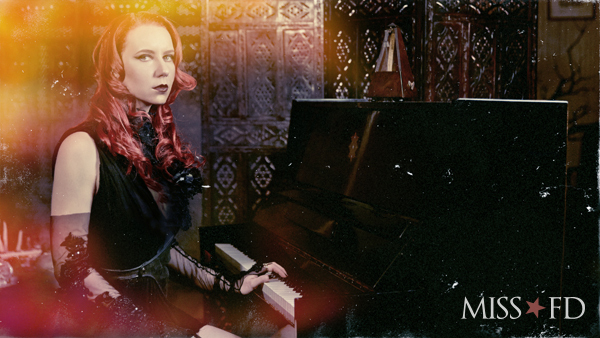 Now FD and director Adam Alvarez have summoned up the enticing visuals for that track, blending the futuristic sheen of black latex with a vintage backdrop of Gothic scarlet to seduce the eye as well as the ear. 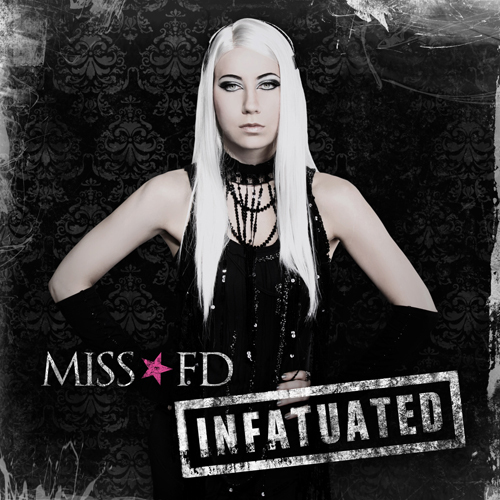 The video for "Infatuated" was filmed in West Palm Beach, and makes its world premiere today. Miss FD releases official music video for "Moment of Fade", from the album "Love Never Dies"
"Moment of Fade", the second video from Miss FD's most recent studio album "Love Never Dies", continues the artist's journey through a world of riddles without solutions. 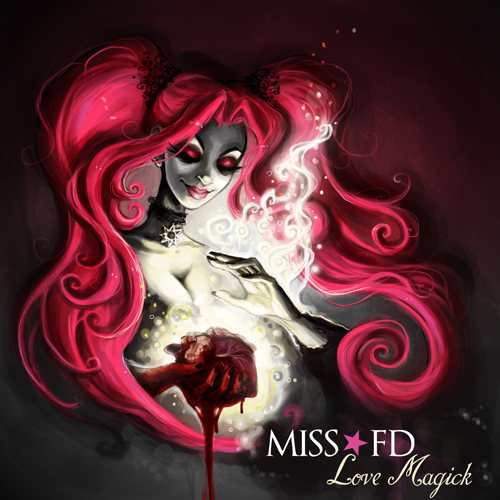 This lush gothic tale was filmed by Adam Alvarez (who also directed the video for FD's playful Halloween treat "Love Magick") on various locations in Miami, Florida. 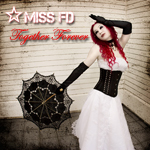 The contrasting images of light and darkness capture the emotional heart of both the song and the album, as FD roams a lonely domain in search of the key to a happier reality that remains out of reach. Love Never Dies is available in CD format through the official Miss FD website, and Amazon.com. Directed by Adam Alvarez, Miss FD's new music video for the single "Love Magick" was shot in Ft. Lauderdale, FL and Atlanta, GA.
"Love Magick" is available as a digital release from Bandcamp, Amazon.com MP3, iTunes, and other digital music outlets. 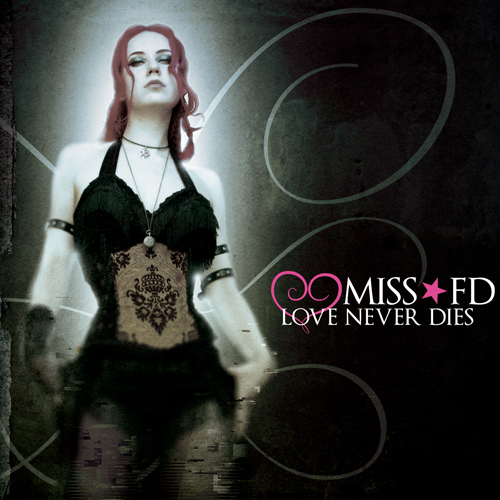 Miss FD's new studio album, Love Never Dies, is officially released through Quantum Release Records as of Valentine's Day - February 14th, 2011.